By the year 2050, the global population will hit the 10 billion mark from the current 7 billion, with half of the world’s population living in the African continent. In context, about 83 million people are added to the world’s population each year, studies show. This has put unprecedented pressure on food, with more mouths to feed. Yet agricultural land is dwindling and competing with other sectors like real estate and natural resources. Furthermore, changes in climate has meant a dip in yields and the altering of planting and harvesting seasons has taken a toll on food availability and security among the global population. In majority of African cities, reports indicate, at least a third of those living in urban areas are ultra-hungry. And as the world marks the World Food Day this week, agriculture is being positioned as the magic bullet to solving some of the most biting challenges of the 21st century, from unemployment, and radicalisation to migration, especially among the youth. Indeed the theme of this year’s celebration, ‘Change the future of migration; Invest in food security and rural development,’ is a clarion call to policy makers, governments and key players in the sector to imagine holistic approaches that can bolster an agricultural system that is able to feed the burgeoning population while creating jobs for the unemployed. 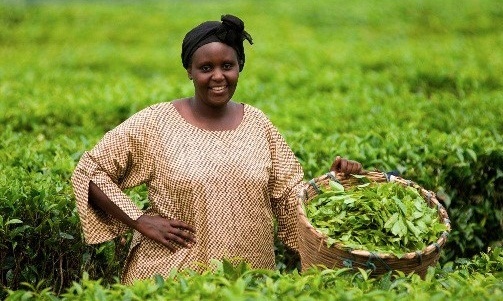 In Africa, over 70 per cent of the population relies on agriculture for income. Yet the sector suffers from poor yields, rudimental farming practices and pests and diseases. The youth have shunned it, despite a majority of them being unemployed and their desperation as a result of lacking job availabilities is pushing them into extremes; from joining militia groups that prey on their desperation, to migration in search of greener pastures which have in many instances turned tragic. Agriculture has been stigmatised as a ‚poor man’s job‘, but in fact it’s the only sector that holds the promise of creating millions of jobs and an unlimited world of possibilities for the youth. The World Bank posits that Africa holds a trillion dollar food market and can comfortably feed its people and export the surplus while allowing its people to earn from it. But the continent’s food security is hinged on attracting the youth into agribusiness. Governments need to set in place the right environments to bait the young people into the trade and enabling policy reforms that encourage more investments from the private sector, to private players who need to step up their resolve through incentives that point young people to meaningful jobs in agriculture. The future of food security in Africa has to be addressed with the urgency it deserves. It is no longer a matter of if, but when.